Nationwide silence observed to show respect for victims of Christchurch terror attacks. 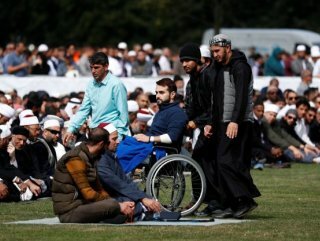 New Zealand broadcast the Muslim call for prayer on national television and radio Friday as a sign of solidarity with that community after recent terror attacks in the country. 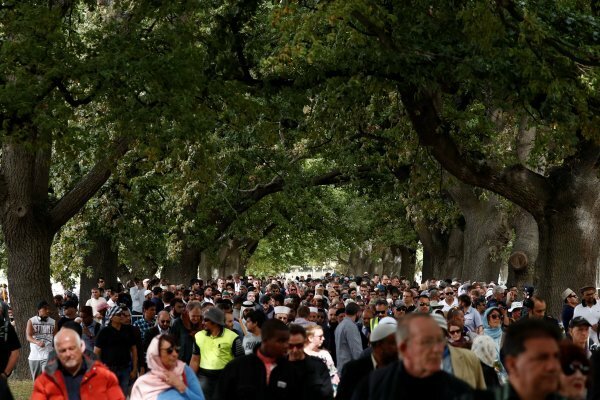 Friday marked exactly one week since the attacks in which at least 50 Muslims were killed when a terrorist opened fire on worshipers during weekly Friday prayers at the Al Noor and Linwood mosques in Christchurch. Memorial services were held in all provinces of New Zealand and two minutes of silence were observed as a mark of respect for the victims. 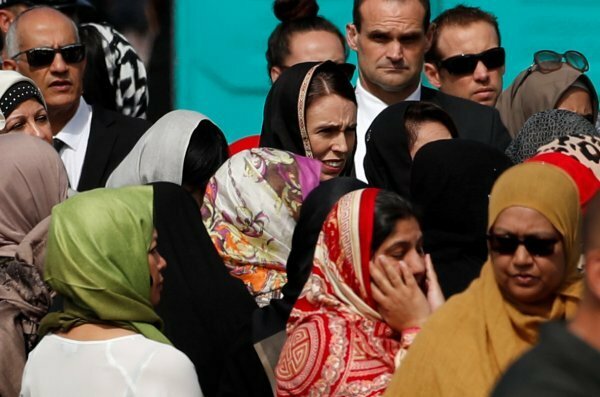 New Zealand’s Prime Minister Jacinda Ardern on Wednesday encouraged women to wear headscarves when attending the two minutes of silence. 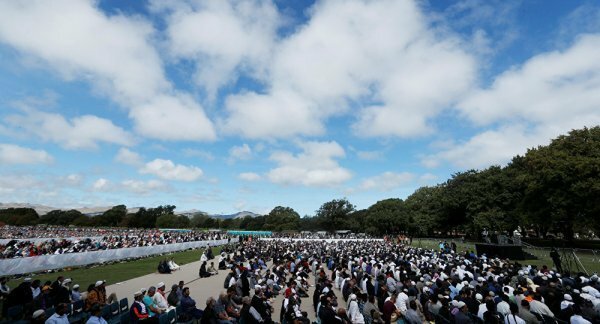 Ardern joined thousands gathered in Christchurch for prayers outside Hagley mosque. "New Zealand mourns with you, we are one," she said, according to TRT World. A New Zealander spearheaded an event Thursday to show solidarity with the victims. Raewyn Rasch started the Scarves in Solidarity campaign, encouraging women to wear a scarf around their heads to support Muslim women in Christchurch. International attention has been drawn to New Zealand since last week’s terror attacks, bringing the rising Islamophobia in Western countries to focus.The terrorist streamed the massacre for 17 minutes on his social media platform. Brenton Harrison Tarrant, a 28-year-old Australian, is charged with the massacre.